With the rapid development of image processing technology, generating an image without obvious visual artifacts becomes much easier. Progressive GAN have generated high resolution images which can almost fool human eyes. In this case, fake image detection is a must. Currently, convolutional neural network based method is tested by many researchers to do GAN image detection. They build deeper and deeper network, such as XceptionNet, in order to have higher ability to distinguish real and fake. These CNN-based methods have achieved very high accuracy of more than 99%. We want to build an interpretable method compared to others, with no back-propagation, and aims to achieve similar accuracy. 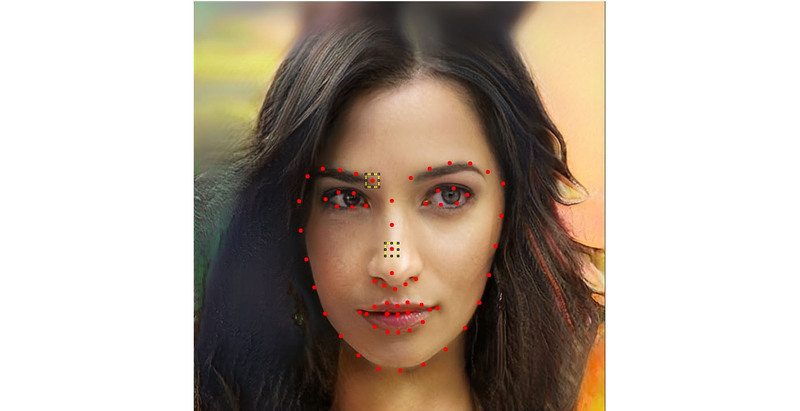 In our method, we first detect 68 facial landmarks from both real and fake images. Then extract 32*32 patches which are centered by the 68 facial landmarks. Those patches together with their label, will be fed into two layers’ Saab architecture. After two fully connected layers, the probability of the patches being fake or real will be stored in 2 by 1 output vector. For 68 facial landmarks, we train 68 models. The output 68 2 by 1 vectors will be fed into a SVM classifier, and output the decision of whether the whole training image will fake or real.